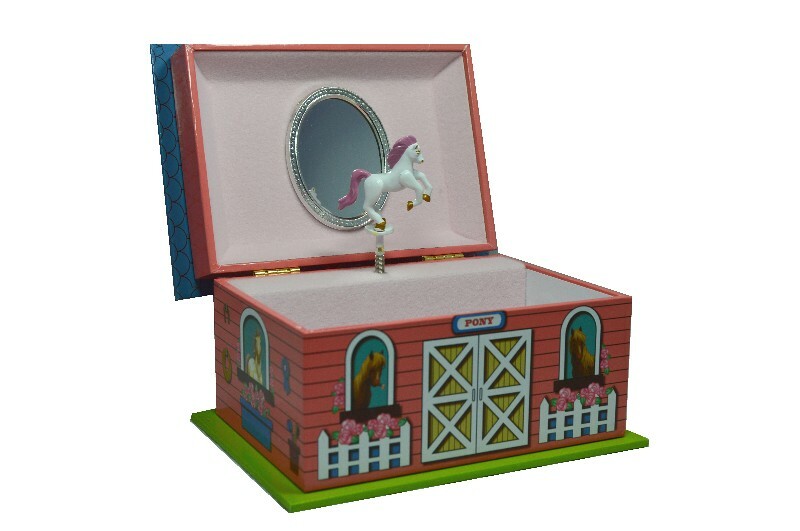 A pretty musical jewellery box with horse figurine. 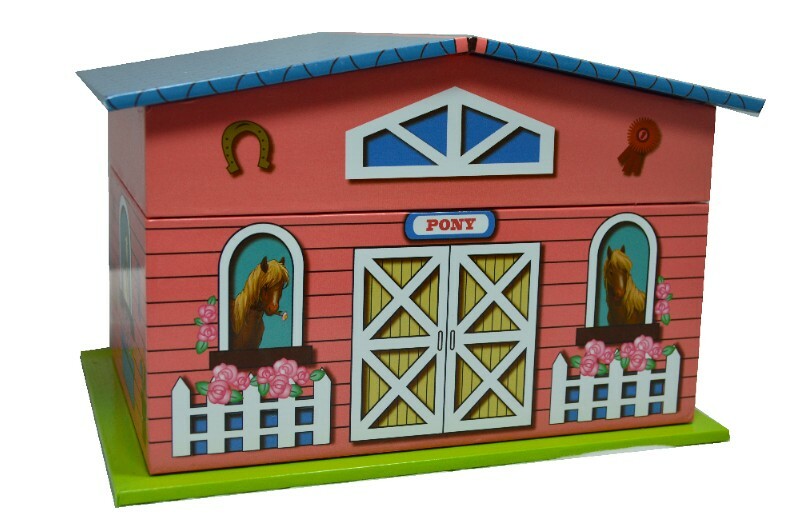 A pretty and unusual musical jewellery box designed and decorated as a stable for horses. The unusual feature is the over hanging roof which is the lid of the box. 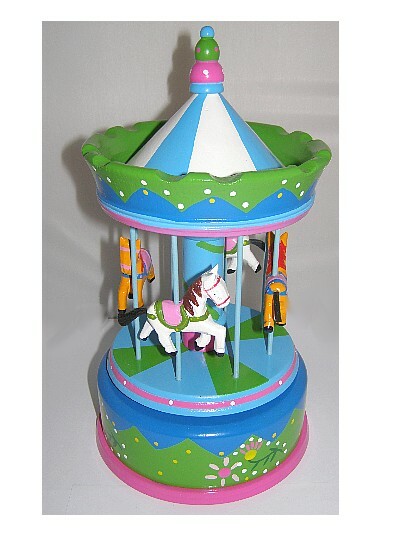 When the lid is lifted the tiny horse figurine 'pops' up and revolves to the music. The music box plays "Twinkle Twinkle Little Star". 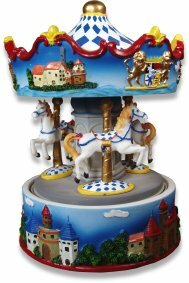 The music box is made from a wood board, covered in a glossy printed paper with the design of a horse stable. 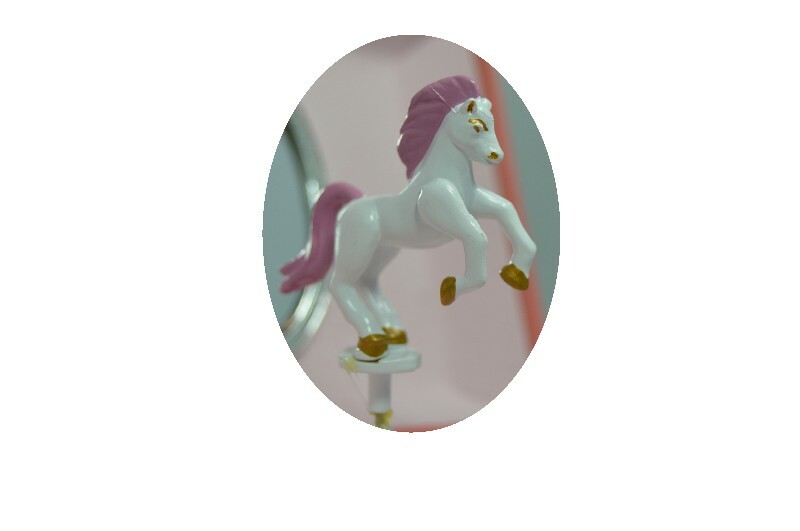 The music box is lined in a pale pink baize material and is fitted with a clockwork musical movement, wound by a key at the rear of the box, leaving room at the front for jewellery storage.